There’s Much More To Ears Than Meets The Eye! “Hi, nice to meet you, by the way your dog has an ear infection.” Uh-oh. That was definitely NOT what I expected a certain celebrity vet to say when he arrived at our house to do an interview about what it’s like to give up commercial television production to focus on pet and veterinary-related topics. 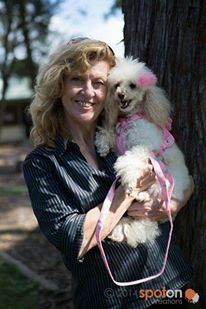 Poodle Monet made a full recovery! However, the fact that I’d missed something which could have potentially caused our precious boy to be in pain and not able to tell us something was wrong, prompted an intensive and ongoing search to find out more about our furry friends’ ears… and there’s a lot to learn! 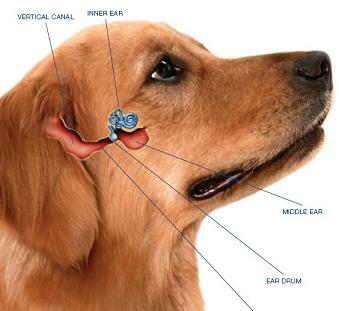 Did you know dogs have 18 different muscles in their ears? 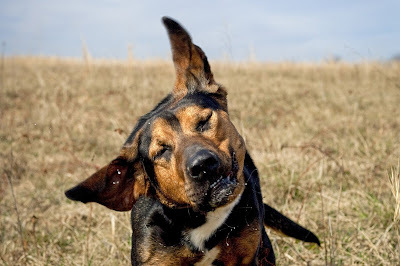 We’ve all got that one friend whose party trick is to wiggle their ears but that’s nothing compared to canines who can not only tilt, turn and rotate their ears they can also move each ear independently of the other. This helps our furry friends capture and identify several sounds simultaneously which is one of the skills early humans recognised as being useful when they noticed the less fearful wolves could hear and indicate potential dangers with a bark before they could... And voilà! The world’s first alert dogs were encouraged to stick around and become domesticated. In fact, scientists think canines hear four times as well as humans and in particular they can hear high-frequency sounds we can’t hear at all. Although that doesn’t explain why some dogs seem oblivious to their name being called at the dog park when it’s time to come home nor why a seemingly sleeping dog can hear the crinkle of a treat bag being opened from three rooms away! If you’ve ever experienced what’s termed a ‘runner’s high’ or been amazed how good you felt after laughing your way through an exceptional comedy, then you’ve been blitzed by Endorphins - the ‘feel-good hormones’. 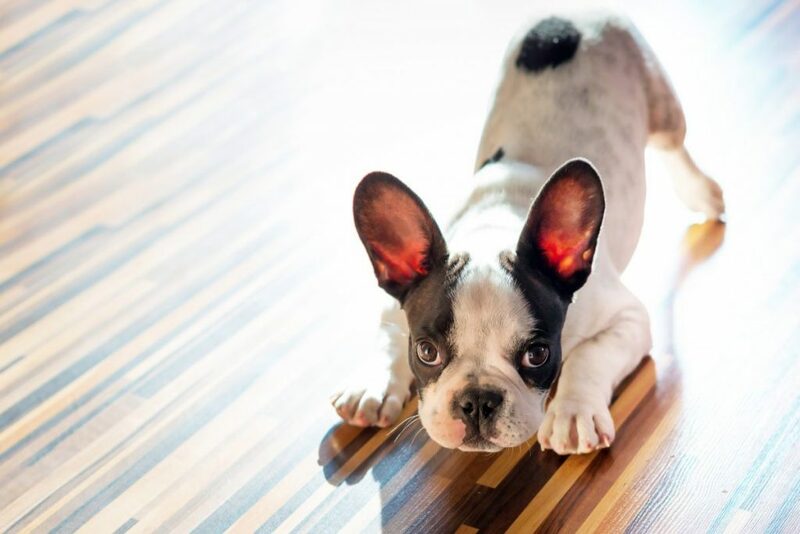 Dogs experience it too – well, the post-exercise bliss effect - the comedy not so much, although they would have picked up on your improved mood! (1). However there’s an even easier way to help your pooch achieve nirvana…without breaking a sweat; rub their ears. Gentle rubbing or stroking of one or both of your pet’s ears stimulates the Pituitary gland and the Hypothalamus gland which then flood the dog’s system with endorphins. These are the hormones which dull pain and increase feelings that all’s well with the world. It does the same for the human doing the petting too! A word of warning though, don’t try this on dogs you don’t know as it could be misconstrued by the unknown dog as being a threatening gesture. I always like to use the classic fairy-tale ‘Jack And The Beanstalk’ to remind everyone, kids in particular, that it can be scary when a much taller person stands over a smaller being – like a dog – and puts their hand over their head. The dog doesn’t know this ‘stranger’ is just trying to be friendly, so instead, always wait for a dog to approach and once they do, gently pat under their chin or on their chest so they feel comfortable. The ear rubs can follow at a later time when you’re both relaxed. Doggy ears are an astronomical feat of engineering in that like human ears, they have a self-cleaning mechanism which pushes dirt, dead skin cells, wax and any other debris upwards and out of the ear in a process called epithelial cell migration. However, unlike human ears, dogs don’t have a single, straight ear canal. Instead, canine ears are more like an ‘L’ shape, with a distinctive 90 degree bend which means their self-cleaning mechanism can more easily get clogged and cause problems. Even worse – ear problems in dogs can be painful. Happy, healthy hounds have nice pink skin on the inside of their ears with a barely visible coating of wax. Unhappy ears will often look red or have a dark brown or black discharge plus you may notice your dog is constantly shaking their head, scratching at his or her ears, or rubbing them on the floor or furniture. They might even scratch so hard they cause a giant blood blister called an aural haematoma which may need to be drained by your vet. Wobbly pet? It could be an ear infection as like us, a dog’s ear is essential for balance. Any of these symptoms mean it’s time to visit your friendly vet asap who has the equipment and training to identify the true cause of the problem and prevent it from recurring and causing permanent damage. The most common causes of ear problems according to the authors of Small Animal Ear Diseases: An Illustrated Guide (2nd Edition) are seasonal allergies, food allergies, bacterial infections (don’t worry, they’re not transferrable to humans) yeast infections, parasites and foreign bodies. The problem can be in the outer, middle or inner part of the ear, but more often than not in the exterior known as Otitis Externa. 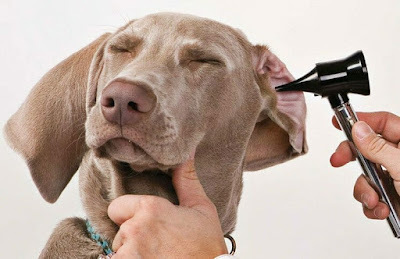 Your vet will use an instrument called an Otoscope to look inside your dog’s ear and then take a sample of the discharge to view under a microscope to identify the cause and how to treat it. Bacterial Infections respond well to antibiotics and/or topical treatments prescribed by your vet within two to three weeks. Yeast Infections similarly clear up rapidly with a combination of internal and topical anti-fungal medications, however, unless the core allergy causing the skin to over-produce oil in the ears is identified the problem will return. It’s important to work with your vet to identify if the yeast infections are being caused by an airborne seasonal pollen, dust mites or food allergy and then eradicate the source. Ear Mite Infestation is more unusual but when it does occur, it’s more likely to be in combined cat and dog household. Anti-parasitic medications will stop that nasty army of irritating insects in their tracks however it’s not unusual for these poor dogs to have secondary bacterial or yeast infections requiring topical medications as well. 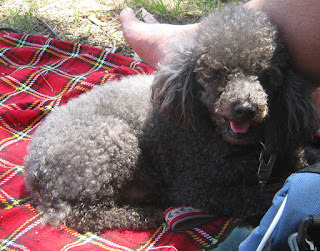 Foreign Bodies / Grass Seeds are the most common problems for Aussie dogs during summer. The longer they sit in the ear canal, the more irritating for your dog and the more likely your vet may need to sedate your pet to remove it. Regularly rubbing or playing with your dog’s ears is not only soothing for you both, it also means you’re more likely to detect any unusual odour or extra waxy build-up in the ear before it blocks airflow leading to an infection. Cleaning is simple using an over-the-counter ‘otic’ cleanser recommended by your vet or from a pet store. 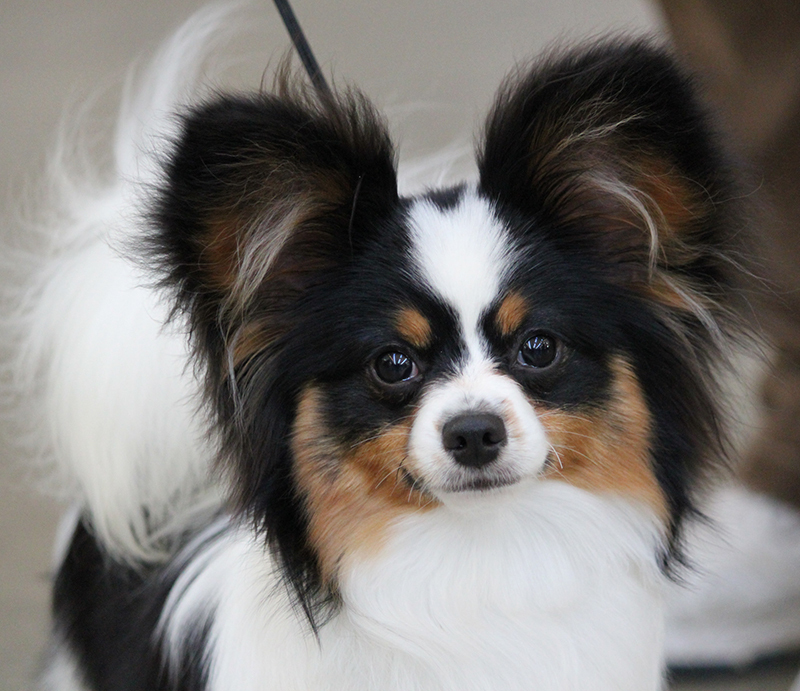 Owners of long-eared and long-haired dogs probably already know they should be brushing their dog’s coats at least twice a week to prevent dead hair building up, clipping the inside of the ear flaps and using a commercial ear cleaner on a weekly basis. These products aren’t expensive so whatever you do, don’t use any of the so-called ‘natural home remedies’ like rubbing alcohol or witch hazel as they’re irritating and will sting if your pet’s broken the skin surface while scratching at their ears. 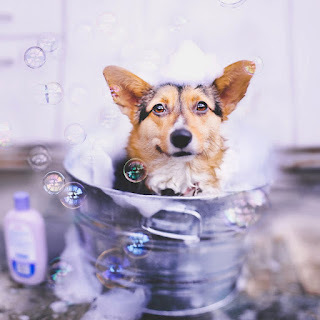 Bath time poses another potential pitfall as bacteria and yeast thrive in moist, warm environments so it’s important to avoid water getting into your best friend’s ears during their bath and always double-check after every bath or swim that their ears are dry and clean. If your dog’s ears still seem irritated or smelly after cleaning it’s likely they will need to have a deeper clean by your vet and possibly a course of either antibiotic drops or ointment to stop the infection. Some dogs never have ear problems while others seem to have one infection after another leading to scarring which progressively blocks the ear canals preventing medications from reaching infections and also preventing dead skin cells, hair and wax from getting out. At this point, dogs with chronic otitis can be referred by your own vet to a specialist veterinarian for surgery to remove the damaged ear canals and any build-up of infected hair and skin. This procedure finally gives the dog relief from their ongoing pain, makes future infections much less likely and best of all, most owners report their pet’s hearing is no worse than it was before the operation. In conclusion, canine ears can be tricky to manage but they definitely ARE manageable so don’t wait to be told – hey, your dog’s got an ear infection – at the first whiff of a problem, see your vet!